In the previous articles in this series I wrote about the beginnings of my company ‘Next For Me.’ From inspiration, collaborators, the law, broadcasting, money, conversion-ing and the company as a movement. Then a family emergency caught me off guard. We got introduced to just the right venture capitalists. I moved to a tiny office and acknowledged the lonely days of startup-land. We’ve started talking to and analyzing our audience needs and worked on our brand architecture. With some guidance we launched our decision to go forward to raise an angel round and how we updated our pitch deck. Then, we simply had to wait and see what would happen with an investor. When we have time on our hands we remember to Always Be Publishing and share some time with other entrepreneurs. An advisor made us think hard on subscriber growth. StartOut Marketing Director Mario Villanueva interviewed me on what being a gay person has been like in my professional life, being a mentor, and where Next For Me is headed in the next year. I’m a member of StartOut and a mentor to 2 members. 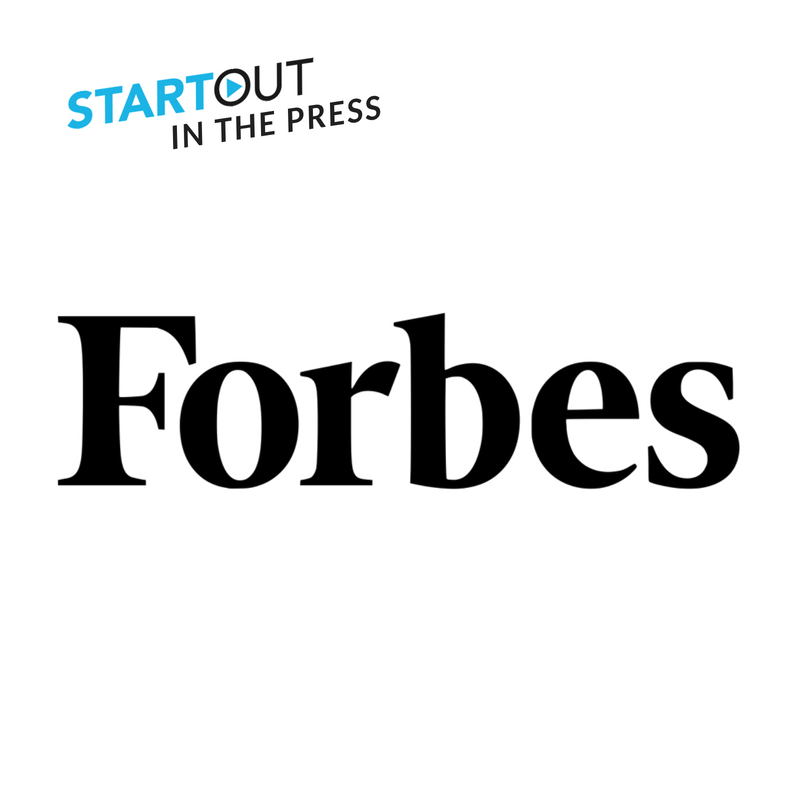 StartOut: Can you tell me a little bit about who you are in terms of being an LGBTQ entrepreneur or StartOut member or any other way you’re affiliated with StartOut? Jeff Tidwell: I’ve been in tech for 35 years. I’m a 59 year old gay man, which means I was around for some of the early activism related to AIDS and generally about lesbian and gay rights. That helped form who I am today and how I approach the world. Sometimes that’s good, sometimes that’s bad. Last year I spoke about the combination of being 60 and gay in technology and coming from a background of activism, it sometimes makes life not so easy because you’re ready for a fight at times. On the other side of the coin you’re also skilled in navigating combative situations, knowing how to stand up for what’s right and when to activate that defense and when not to. I was on the board of a non-profit called Digital Queers in the mid-nineties. We provided technical support for LGBT non-profits. That was early on. One of the first things we really did was shared AOL discs. Back in those days you had to install AOL onto your computer to get connected, so this was a game changer. That was how gay folks connected online. That was important for gay and lesbian life at that time. The internet was a safe place for people to gather and share experiences and support each other. From that experience and other political organizing I had a foundation about how communities form and network. That’s how my sexual identity played into who I am today. I see StartOut as an extension of what was started with Digital Queers – a place for people to support each other and find ways to network that might not be available to some of us who aren’t white, male, and straight. I’ve been a mentor to two members and I love that a lot. It’s really good for me as well. I see intergenerational mentoring as a two way street and something that can be really valuable for both parties. Being the age I am, I might bring some things to the table such as how to collaborate, how to avoid politics in the workplace and those kinds of things that a younger person hasn’t gone through yet. They bring a lot to me about perspective and points of view from their generation including how they use technology and a natural affinity for inclusiveness. SO: Can you tell me a little bit about your company or any entrepreneurial goals you have right now? JT: Last year after the talk a lot of things came together all at once. Collaborations and relationships I had with people for a long time kept raising the story that there’s this huge generation that’s not being served. There’s 110 million people who are over the age of 50, half of them have less than $50,000 saved for retirement. They’re facing ageism in the workplace and don’t know what to do next to get from here to there in their lives. So we started nextforme.com. We publish a weekly newsletter covering work for 50+ communities. We also cover ideas about transforming yourself from who you have been in your career and how you’re going to address the next 20 or so years. We host events across the country where people gather informally and talk about these issues and we publish the results of those gatherings. That’s really been a positive thing. They have welcomed the idea that they can get together in a safe environment and talk about these issues that are sometimes embarrassing or there’s shame around. It’s really changed the direction of our company to make the real-world events as important as the news that they get every week from us. One feeds the other. SO: What challenges have you faced as an LGBTQ entrepreneur? JT: A lot of it, you wouldn’t even know if it was staring you in the face. There are some forms of discrimination or being overlooked that you don’t quite recognize when it’s happening. I’m blind to a lot of it unless it’s extremely blatant. There’s never been a doubt about who I am in my network and the relationships that I’ve formed in my career over 35 years. In fact that has at times helped me. As a former graphic artist, I had a cartoon above my desk for years that showed a stuffy boardroom and the caption reads, “I know the art department is gay, but is it gay enough?” That’s been a mantra for me — that it’s okay to be who you are and in fact it can be a benefit to you if you look at it from that lens. I have a strong will and a little patience for any kind of discrimination. I know that I’m unique in that I don’t, I don’t feel a lot of it, but I absolutely believe that it exists and that we have to support each other in ways that will overcome those discriminatory behaviors. SO: How did you hear about StartOut before joining and what made you join? JT: I have colleagues that were members, they had a company called MapJam and they had been introduced to the incubator 500 Startups through one of the founders of StartOut. They told me about the organization and I dug in a little deeper, watched peripherally and then joined and became a mentor. That sold me on the value that was coming out of StartOut. SO: Can you talk more about any other programs that you’ve used in the past that are affiliated with StartOut? JT: I have taken advantage of the office hours with some of your advisors. You and others at StartOut have been generous with sharing news about my company through your various channels and that matters over the long term. You’ve got to keep doing that all the time and that’s why I’m here today. SO: Has the mentoring program changed your perspective for LGBTQ economic empowerment. JT: It made me recognize the importance and the power of sharing what you know and learning from others. SO: What kind of engagement did you receive from other startup members or the ones that you’ve had mentor? We have regular get togethers beyond the scope and timeframe of the mentoring program. We’re still in contact, we still help each other. If I find out something useful for one of the business people that I’m mentoring I’ll share that. It’s also just nice to check in on a personal level because building a business or career can sometimes be a lonely business. SO: How do you project the following months to look like for you and your company? JT: We are 10 months into this venture. We’re starting our next round of fundraising. Our audience is growing. We have partnerships happening where we’ll be co-hosting the events. That will expand our reach and the number of people who find out about what we’re doing, We get extraordinarily loyal and positive feedback from the people who subscribe and who have joined in these events that we’re hosting. More people will find out about us and share that positive vibe. This will set Next For Me up as a catalyst for transformation in their lives. We can have a positive impact on how that plays out for them. SO: What accomplishments has your business had in the last year? JT: We raised a round of friends and family money and that gave us the runway to test a lot of our assumptions. We’ve published hundreds of stories and our weekly newsletter subscribers are growing at a fast pace. We post podcasts and videos of everything we write about. We have cross-country meetups. We’ve published downloadable job guides and and I have a column running in Forbes about the creation and process of starting this company. At the beginning of next year we’re going to publish a report that covers what we’ve learned from these intimate events that we’re hosting. That’s going to be our calling card setting us up as an organization that understands this audience. We think that the real world communities will begin forming out of the meetups. The participants have stayed in touch and we’ll provide them with the tools to begin publishing themselves onto our platform. JT: You have to invest to make it work. You can’t be passively waiting for a non-profit to work for you. Non-profits work when the membership is actively engaged and find a way to help out. It’s up to.